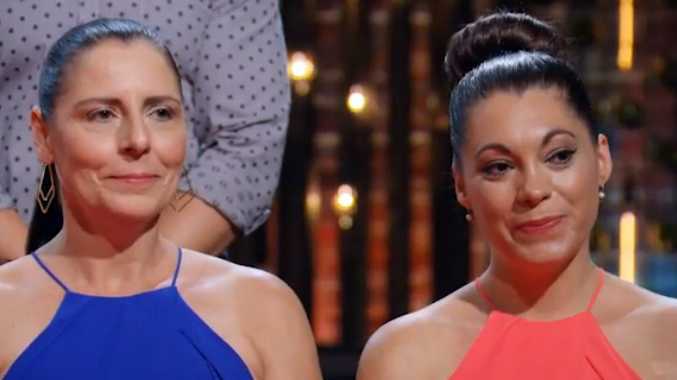 A TWIST in scoring couldn't save "stepsies" Hazel and Lisa or cops Monique and Sarah from elimination on My Kitchen Rules tonight. The two teams had the lowest scores going into Carmine and Lauren's instant restaurant redemption cook. Tensions ran high as the feisty Adelaide couple aimed to prove their haters wrong. Carmine and Lauren didn't hold back, serving up a seafood entrée in a bid to redeem their seafood in a bag debacle. Judge Pete Evans declared the dish "liquid gold". 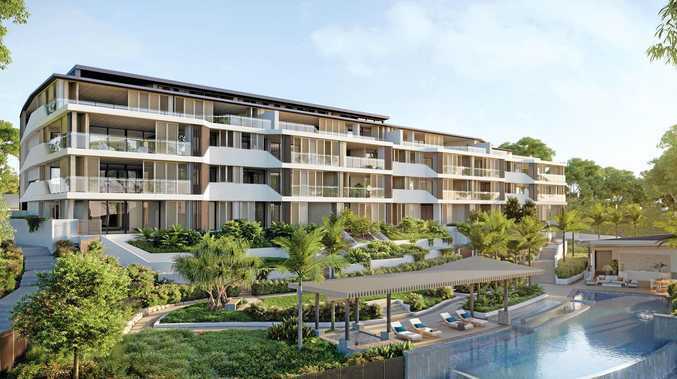 "Fantastic, beautiful, gorgeous," Manu Feildel said. "(This is) beautiful seafood cooked with respect with a deep, rich broth with saffron flavour. "My only criticism is I would have loved to have a mountain of it." 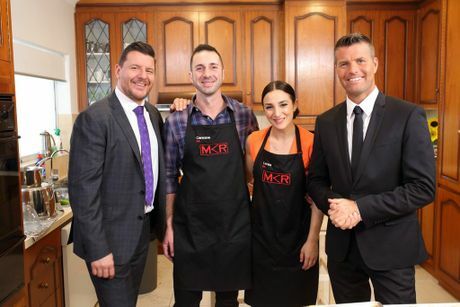 Feildel even went into the kitchen and asked for a cup of the leftover broth. But Carmine and Lauren began to slip with the main course, a generous lamb shank with under-seasoned polenta. "What a generous and beautiful looking dish when it hit the table, but my first thought was 'where's the sauce?'" Evans said. "I don't want it to be soupy but it's comfort food and I can't imagine comfort food without that generous amount of sauce that comes with it. "When I think about this dish and how great it could have been, it's a bit disappointing." Lauren's "famous" mud cake also turned out to be a letdown. "Putting your name on to a dish is brave because if it works you get all the adulation but if it doesn't work it hurts," Evans said. "Unfortunately your dessert didn't live up to its name. The cake itself is light and crumbly, probably not as dense as I would have expected with a mud cake. The icing on the top still has grainy bits of sugar through it… so it's gritty. "I wanted tonight to finish on a high because you came out guns blazing." Assembled at Kitchen HQ, the teams learned that the dreaded twist was a new leaderboard reflecting which teams had improved by the best margins in the redemption round. But even with the new scores Monique and Sarah and Hazel and Lisa were still on the bottom and were eliminated. The remaining teams now move on to the next stage of the reality cooking competition.